This large first-floor space needed to be completely refurbished to allow a new department to relocate into the office and research areas. The subject of the LEEP department revolves around water, energy, the environment etc. so to incorporate the theme of nature made complete sense for the end user. The main finishes were selected to be inspired by nature but also add interest similar to that of wild animals and plants. 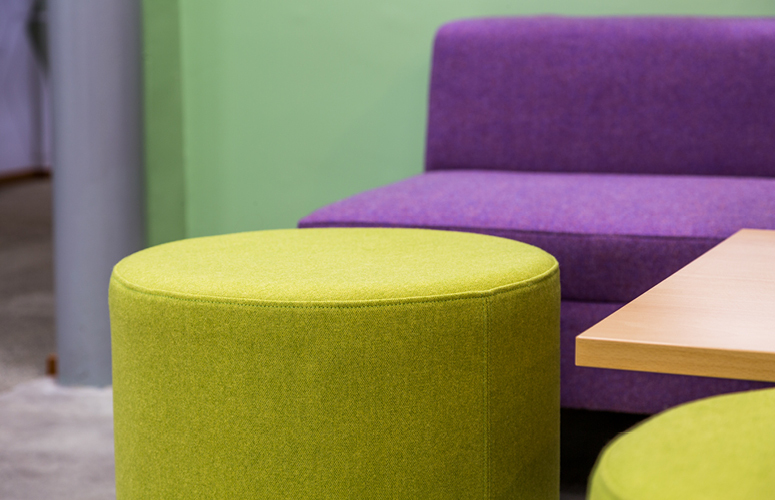 The custom carpet design was neutral throughout much of the space and accents in bright colours applied to collaborative spaces. 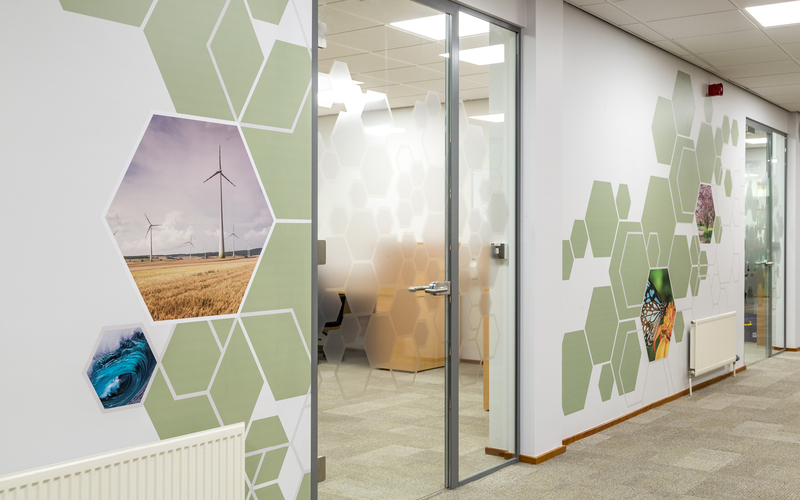 This was enhanced by soft green feature walls in meeting rooms. 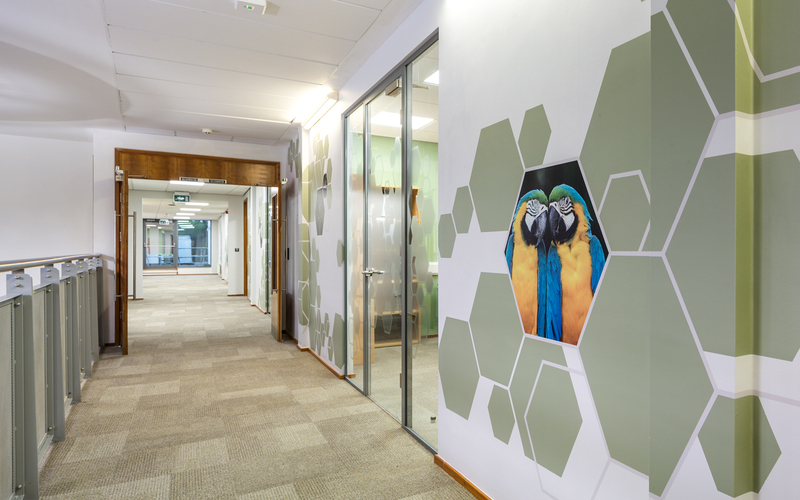 The long corridor walls were brought to life with a hexagon printed wallpaper that also included images of nature. A hexagonal design using the feature green was arrived upon because of its relevance in nature. The finished effect gives suggestions about the work undertaken in the building. The social areas which consisted of an open kitchen and lounge provided an extension of the hexagon theme in the wall tiles, mirrored decorative wall feature and wooden pendant shades. Bright pops of colour from the furniture fabric made this space feel fun, inviting and relaxing. 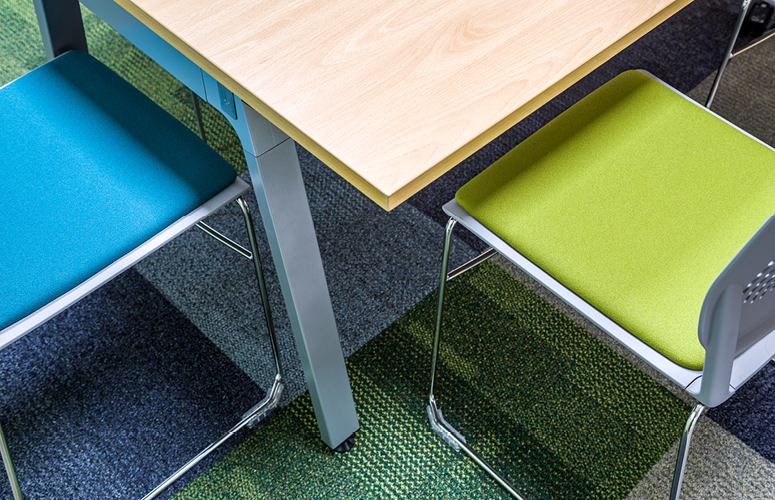 The bright colours on the furniture were taken through onto the task seating and meeting chairs for continuity and to give the work areas character. 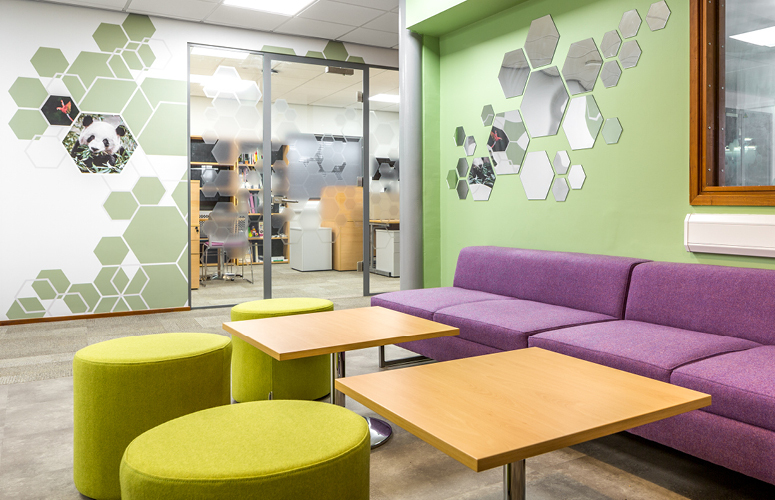 The completed refurbished space has offered a new lease of life for the staff at the university. What was grey dull rooms have become light, bright calm areas that feel much closer to, and celebrate the natural world.